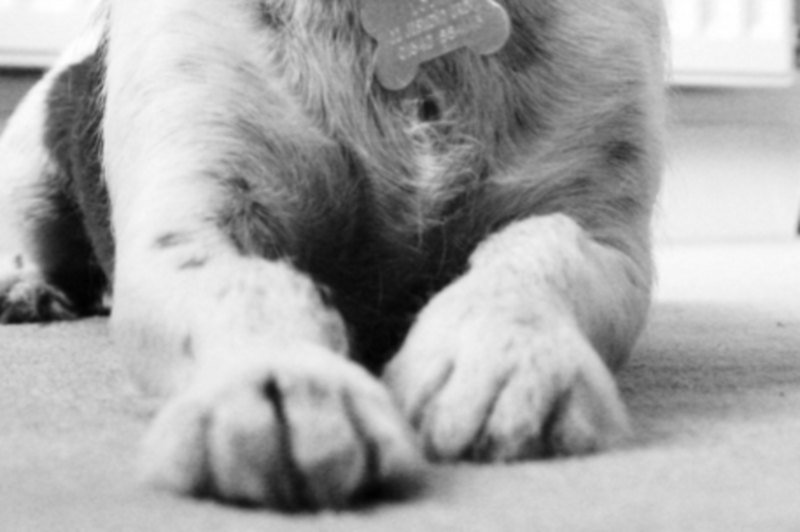 Did you know that rock salt and ice melts can cause dry, cracked paws in dogs? It’s January, and with winter in full swing, many towns and cities are now coated with a blanket of snow. 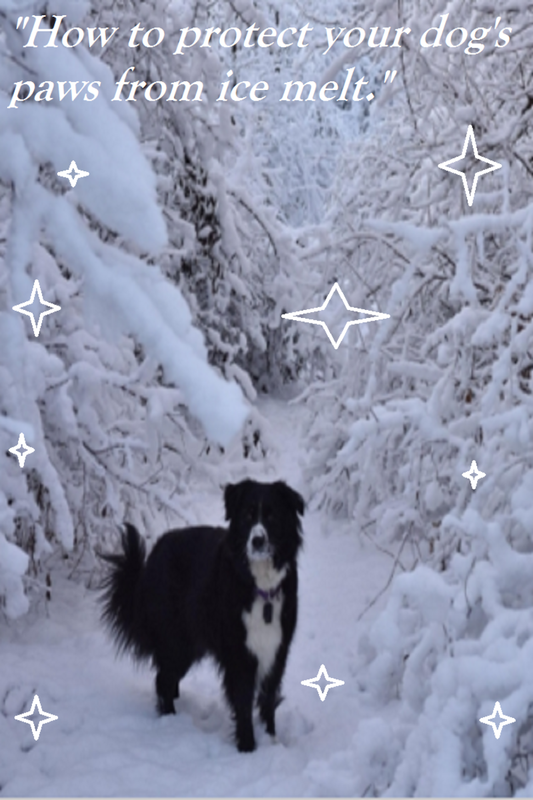 For many dogs this means romping around in winter wonderland, surely a fun activity, until those poor paws start developing unsightly and painful cracks. Why is that? Today we went on a journey to discover the effect ice melt has on dog paws and how it plays a role in causing dry, cracked paws along with other adverse effects in dogs. Rock salt is a type of salt, to be more precise, it’s sodium chloride. Also known as halite, rock salt is often employed for the purpose of melting ice. Fresh water normally freezes at 32 degrees, but if you put rock salt on ice, it lowers its freezing point, causing the ice to melt. This is why according to New England Acquarium, the ocean, which is made of salted water, is unlikely to freeze other than in very cold places, whereas ponds and lakes freeze more readily. The process of lowering the freezing point by adding a solute (salt) to a solvent (ice) is known as freezing point depression. While rock salt is effective in melting ice, it might not work too well when it’s very cold. “It’s estimated that more than 22 million tons of salt are scattered on the roads of the U.S. annually—that’s about 137 pounds of salt for every American” claims Joseph Stromberg, a science reporter in an article for Smithsonian.com. After the salt though does its job of melting the ice, it doesn’t just disappear from the face of earth, and this can be a big problem. While salt is ultimately a natural ingredient, what’s not natural is its concentration, remarks Richard Hanneman, President of the Salt Institute, based in Alexandria, Va. Salt is corrosive, it can easily cause vehicle parts to rust, and the metal in steel bridges, bridge decks, parking garages, lampposts and statues in proximity to roads and highways are also at risk, according to Corrosion Doctors. Not to mention, its deleterious effects to certain types of aquatic life. If rock salt is so corrosive as to damage metal parts, it’s not difficult to imagine the effect it can have on a dog’s paws. Repeated exposure with rock salt will dry the dog’s skin and cause local irritation and cracked paws, according to Blue Pearl Specialty and Emergency Pet Hospital. Avoid walking your dog over salted areas. Carefully inspect the paws after walking the dog. Wash paws with warm water after outdoor play and walks. After washing, apply a layer of Vaseline to soothe irritated feet. Vaseline can be applied as well on dog paws prior to walking and playing as a protective measure, suggests veterinarian Dr. Andrew Jones. Trim the hair growing between the dog’s toes (you may want to ask a groomer to do this as it requires your dog to stay very still). Look for safer de-icing products. Invest in some dog boots. Don’t let your dog lick his paws and discourage the ingestion of snow or ice treated with ice melt. Also, prevent lapping up water from puddles of melted snow. Rock salt can be harmful when ingested (as explained below)! More Than Just Paw Damage! Avoid the snow ball effect! Think that rock salt may only damage your dog’s paws? Think again. The effects of rock salt and ice melts on dogs can be far more worrisome than thought. Many dogs tend to lick their paws after playing in the snow. Some dogs like to clean their feet this way or they may lick them as a response to feeling their paws irritated. Many dogs like the taste of salt, so they’ll lick them even more. Many dogs indirectly ingest rock salt from eating snow or licking puddles of melted snow. The ingestion of rock salt though can cause considerable harm. Mild ingestion of sodium chloride may cause a dog some vomiting and diarrhea, but larger doses may trigger central nervous system signs, dehydration, increased heart rate, increased breathing , increased body temperature and even death, explains Caley Chambers, a Veterinary Candidate with the University of Minnesota College of Veterinary Medicine and extern at Pet Poison Helpline. Potassium chloride can cause gastrointestinal irritation even with hemorrhagic vomiting or diarrhea, magnesium chloride can cause gastrointestinal upset, while calcium salts can cause severe gastrointestinal symptoms. 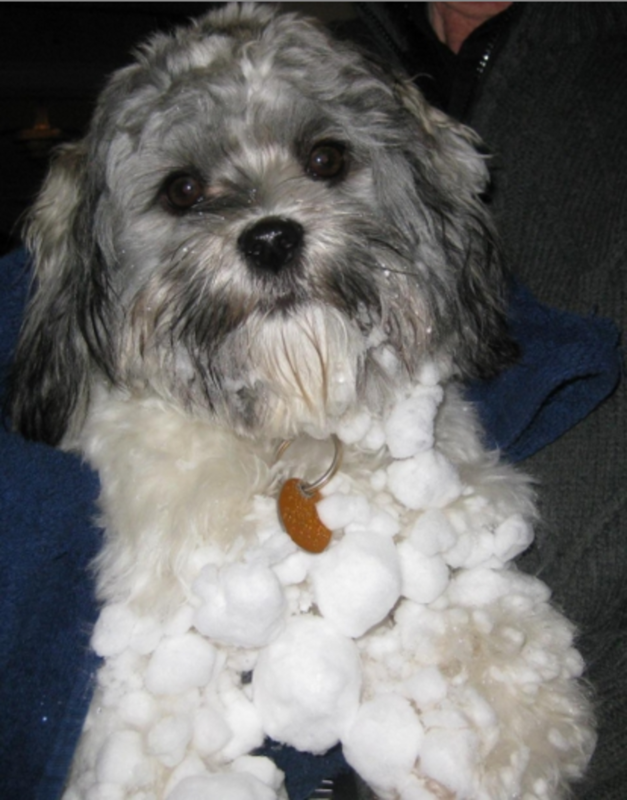 Even urea based ice melts, which are often considered the safest around pets, aren’t harmless. These can lead to salivation and mild gastrointestinal irritation, but ingestion of large amounts can cause weakness, tremors, and higher than normal level of methemoglobin in the blood. Disclaimer: this article is not meant to be used as a substitute for professional veterinary advice. If you suspect your dog ingested ice melts, contact your veterinarian immediately or you can reach the Pet Poison Helpline at 855-764-7661 (a $49 per incident fee applies).